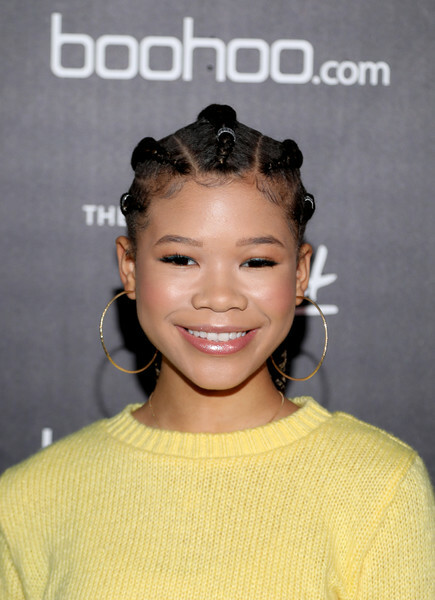 Storm Reid attends the launch of the boohoo.com spring collection and the Zendaya Edit at The Highlight Room at the Dream Hollywood on March 21, 2018 in Hollywood, California. Storm Reid paired her cool 'do with oversized gold hoops. Storm Reid looked adorable wearing her hair in long cornrows at the Boohoo Block Party.